Hello again! I’m glad to be back home after spending the months of February, March, April and May in Vancouver with my husband Dave and our pup Dobby. Dave had a special opportunity to renovate a family member’s home and backyard so we decided to pack up and head out west for the season. We drove just under 4500 kms across the country, which I don’t recommend during the winter or under a time constraint (both of which were the case for us) but I’m still so glad we did! Vancouver is a city we’d always thought about living in so it was really special to be able to spend a good amount of time there. We got to know the different neighbourhoods, established some local haunts (ie: ate all the sushi), checked out some wonderful shops and explored the fabulous parks, trails and beaches. Vancouver has an energy all its own and HOLY CRAP are the blossoms ever amazing. The city’s natural splendour and outdoor charm more than won us over. The real estate prices, not so much, but that’s okay. We already know we’ll be back again at some point and I can’t recommend it enough as a place to visit if you have the opportunity. Vancouver has a lot to offer, which can definitely be overwhelming, so to help anyone planning a visit I’ve put together this city guide of all my favourite places to explore, eat and shop. Even though I didn’t make it all the way through my Vancouver bucket list I’ve included some spots I’m hoping to get to next time. 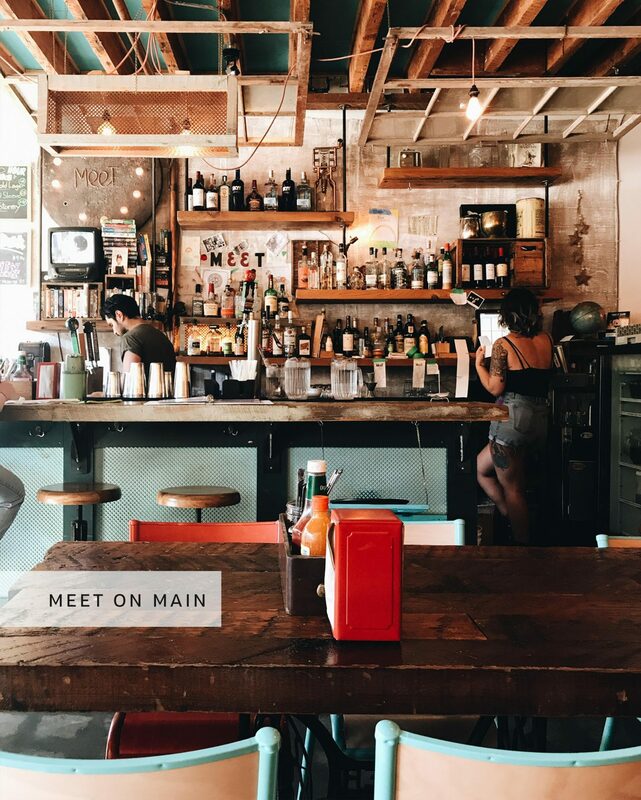 Click the links to see the Google map location for each place noted and hopefully this guide will point you towards some good options during your travels! 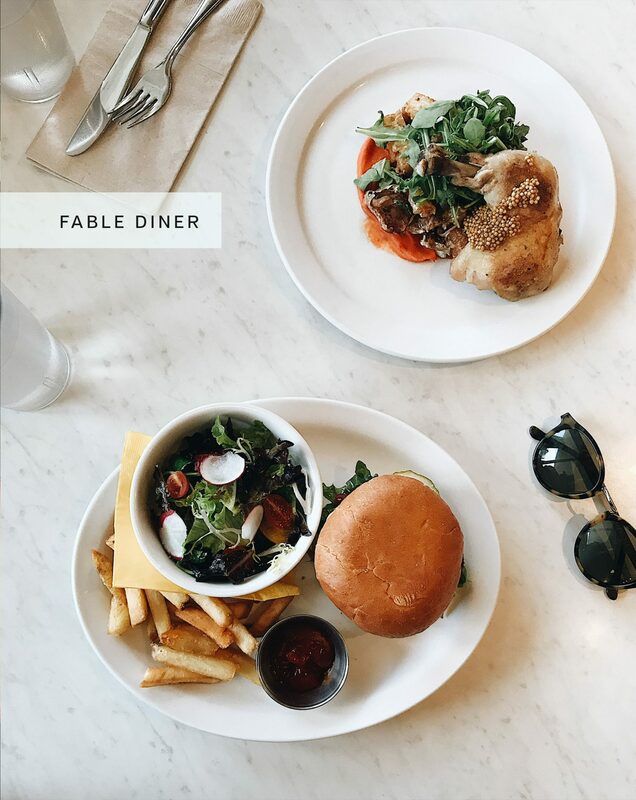 So let’s dig into the Vancouver City Guide! 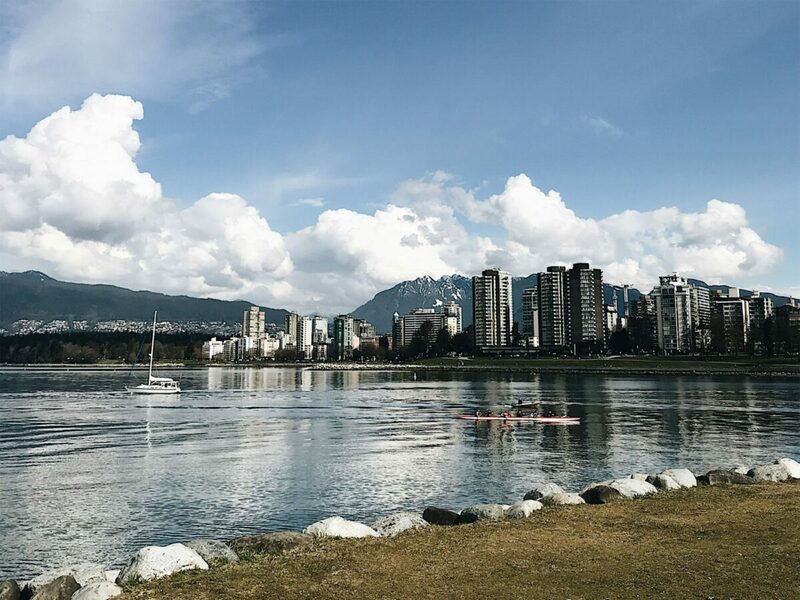 There are so many sights to see, beaches to bask on, blossoms to swoon over, parks to play in and special spots to check out in the city of Vancouver. These are some of the ones I enjoyed most. Being a nature enthusiast, many of them are parks and gardens, which always provide such a holistic, stress and anxiety alleviating experience, something I’m often seeking when on holidays. 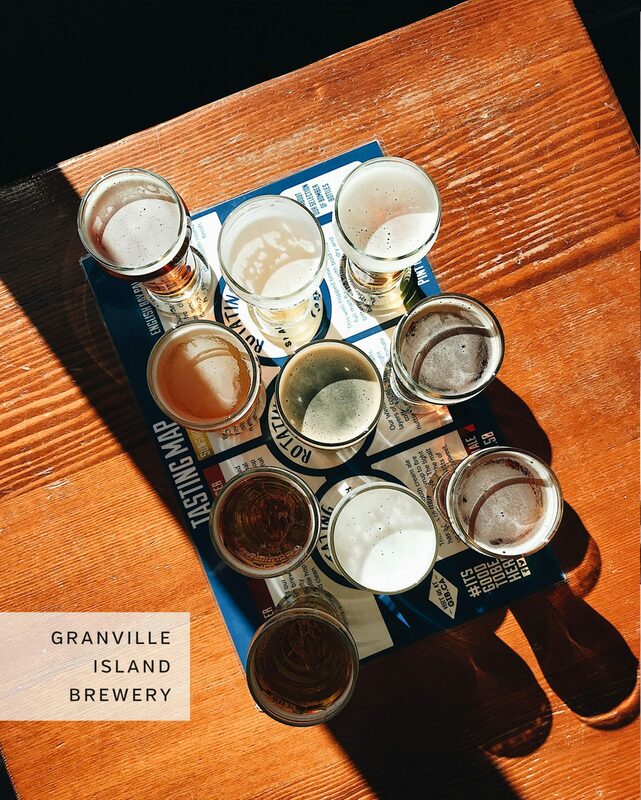 Granville Island – A favourite of tourists and locals alike, Granville Island is a must if you love a good market for food, arts and beer. Go early on for the best market experience (ie: room to move!) and pick up supplies for a picnic on the beach or in the park. There are endless options of fresh veggies, fruit and local meats, cheeses, sauces, dips, baked goods and way more! 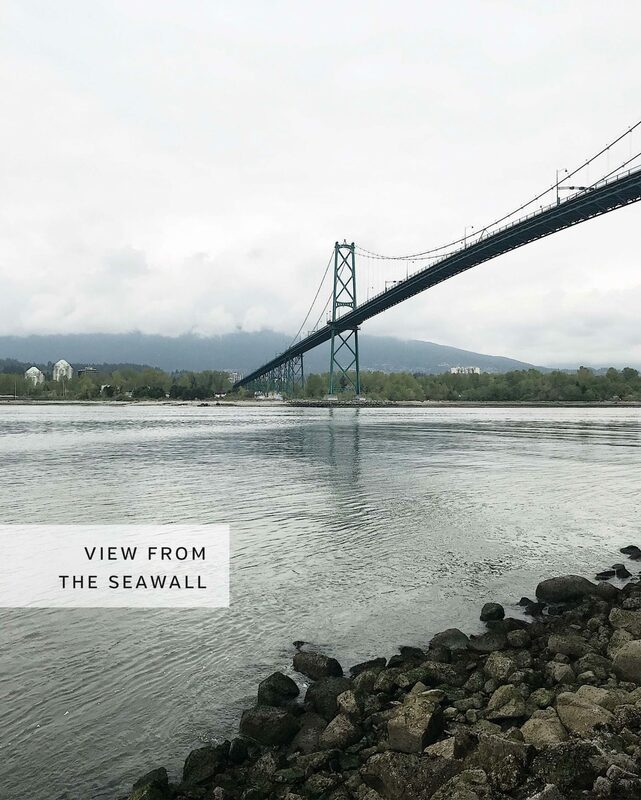 The Stanley Park Seawall – Rent a bike or wear some comfy shoes to tour around this 10km coastal walkway that guides you around Stanley Park and overlooks Vancouver Harbour. It’s a great way to enjoy the day, get some exercise and get a glimpse of the North and West Vancouver neighbourhoods. Stanley Park – You’ll soon forget you’re in a bustling city when you tuck into the walking paths scattered throughout this massive park space. Great for runners and centrally located! Pacific Spirit Park Trail – This park is on the south-west side of the city (where we were staying) but worth the bus ride from downtown to wander through the trails towards the UBC Campus. From there you can access all kinds of great places (noted below) and wander back out past the Spanish Banks and Jericho beaches towards Kitsilano. It was both mine and Dobby’s favourite trail to wander. Museum of Anthropology – The MoA was recommended to me by so many people and it really was spectacular. The collection of First Nation’s artifacts is unlike anything I’ve seen, the exhibits are brilliantly produced and the guided tour was free and incredibly insightful. If the weather forecast looks wet definitely plan to spend some time in here. 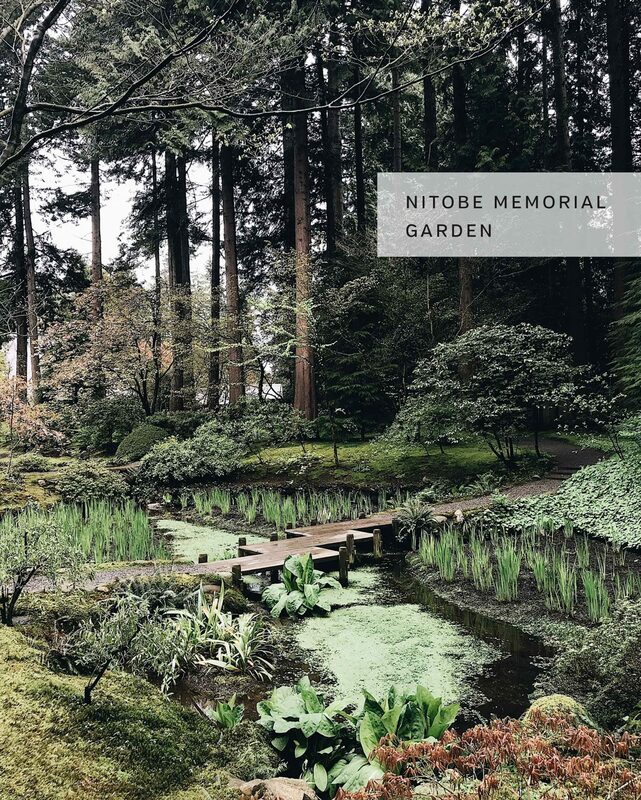 Nitobe Memorial Garden – This place is a quick visit but really beautiful and inspiring. 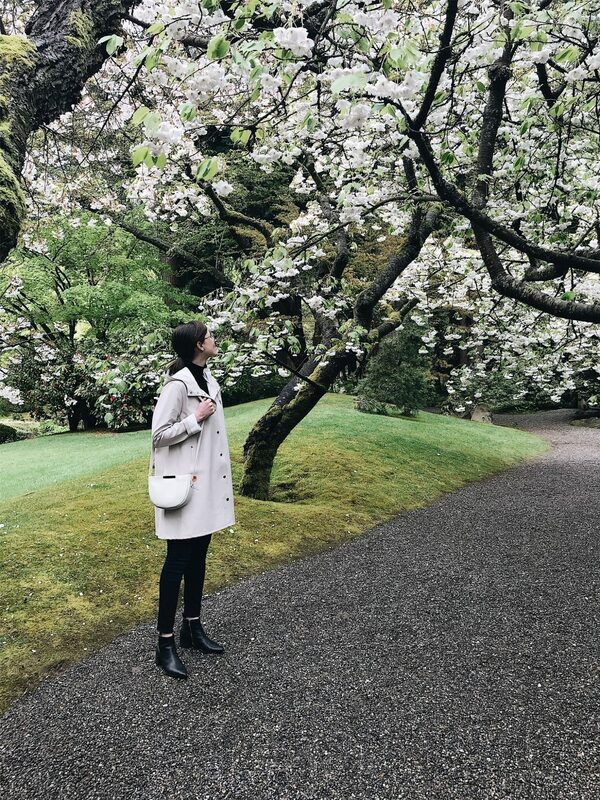 Nitobe Garden is considered to be the one of the most authentic Japanese gardens in North America and among the top five Japanese gardens outside of Japan. 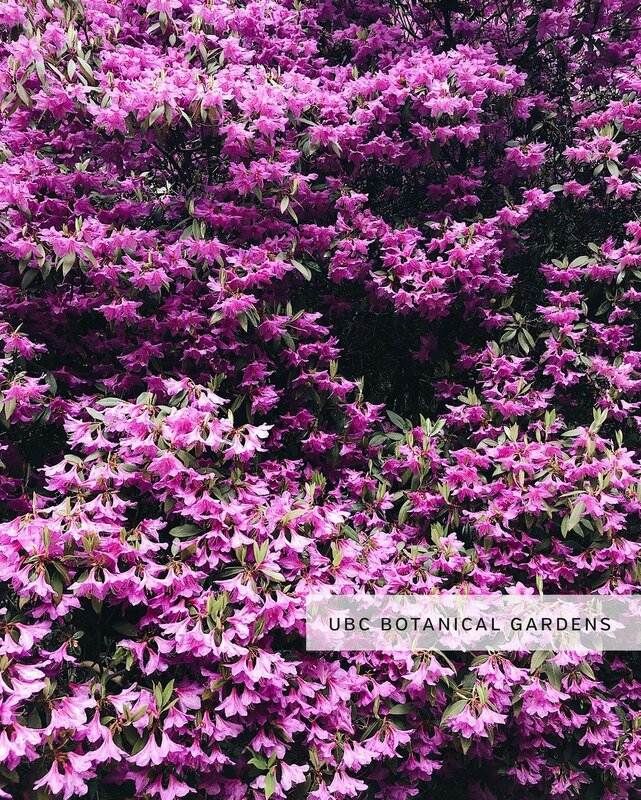 UBC Botanical Garden – Get the dual garden pass (for Nitobe + UBC) and walk through the university campus to the botanical gardens. It was under some renovation when we went but still had lots to see. The plants and trees are meticulously labelled so there are lots to learn about and explore. 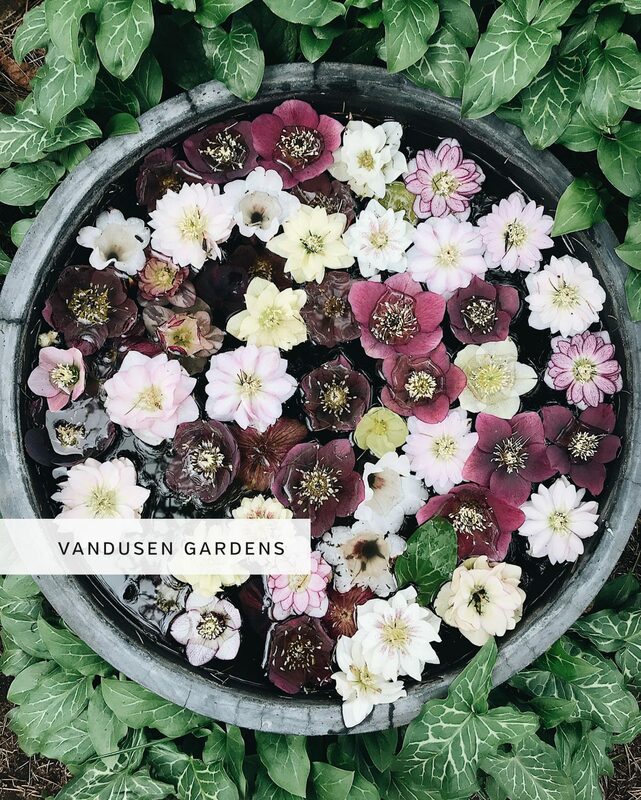 VanDusen Gardens – You probably know that I LOVE a good garden and my favourite botanical oasis of them all was VanDusen. I could have wandered through here once a week and seen new plants blossoming every time. It’s brilliantly planned and meticulously cared for. I was so sad to miss the Rose Garden! Spring and summer are the best times to go but they also have a spectacular winter light show if you’re visiting over the holidays. Check the bloom calendar here. Queen Elizabeth Park – Wander through the park and head to the picnic area with a blanket, some wine and a few tasty goodies to watch the birds wade in the water and the dogs bound through the grassy fields. 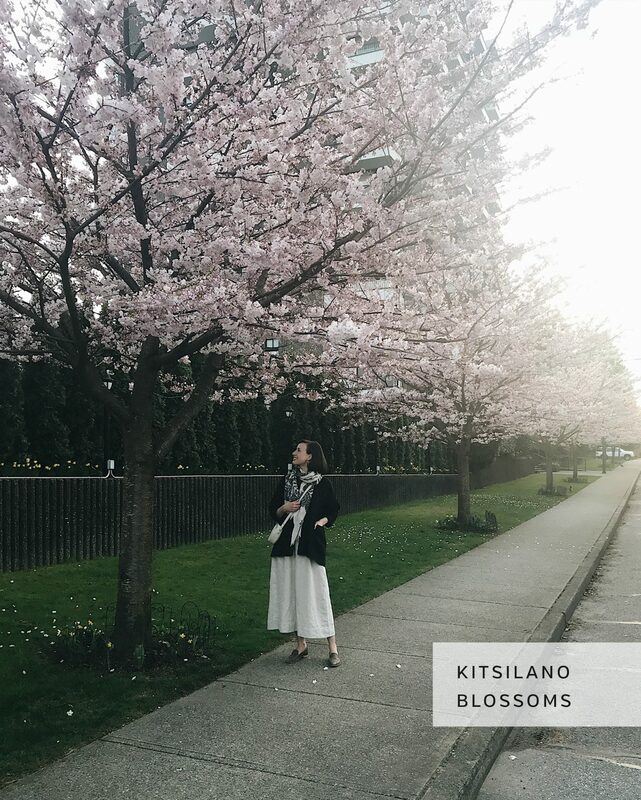 Kitsilano (neighbourhood) – This is probably the best neighbourhood to see cherry blossoms (and other blossoming trees) at their finest during the months of April and May. There is also great access to beaches and restaurants too. Mt. Pleasant (neighbourhood) – This was my personal favourite area to explore. With Main Street running right through and tons of great eateries and shops scattered around there was never a shortage of things to see. See all the shops I loved below. 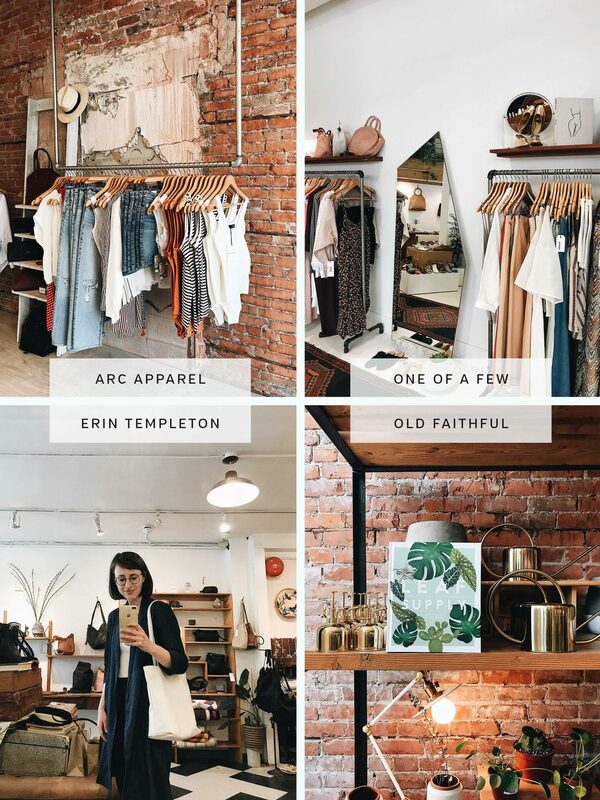 Gastown (neighbourhood) – If you’ve got a hankering to shop some of the best boutiques in the city, this area is your best bet. It’s also a lovely place to wander, window shop and grab a bite or a drink on a patio. The brick streets are winding and narrow and there is endless people watching to be done! See all the shops I loved below. BEACHES (From west to east) – All the beaches in Vancouver have their own vibe. Some are bustling with people hanging out, dogs playing, volleyball games going, rollerbladers whizzing by while others are more relaxed and tranquil. If the weather is good when you go be sure to find a beach near you to catch a sunset and/or sprawl out on a blanket with a good book. Wreck Beach – Best known for its nudist friendly policies and easy access to recreational drugs, it’s also a beautiful beach to explore. It’s tucked into the Pacific Spirit Park and accessible by a trail and staircase from the parking lot(s) off NW Marine Dr. Not on Google Maps. North Vancouver (neighbourhood) – Sadly, we didn’t make our way up to North Van during our stay but I heard lots of great things about the area and how it’s been changing and filling in. Access: I believe all of these spots are all accessible via transit, as are the restaurants noted above. Buses and the sky train are by far your best bet as the taxi service in Vancouver is abysmal and there is no Uber. To Note: Vancouver changes a lot when you begin to head east. Downtown East Hastings is a well-known area for homelessness and drug addiction and this will likely become quite apparent when you head in that direction. 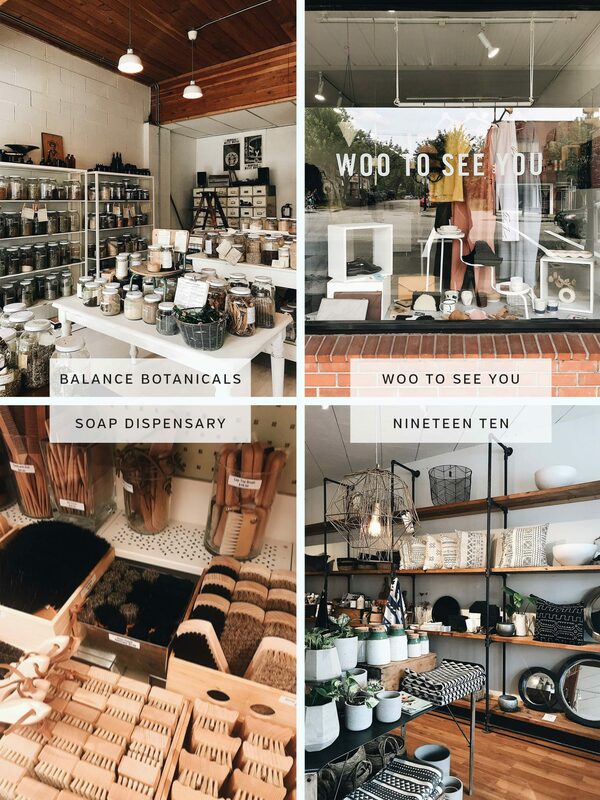 There are still lots of cool things happening on Commercial Drive and in the surrounding areas but keep your wits about you if you plan to head towards the east side of the city. I definitely got used to it as I spent more time in Chinatown and on Commercial Drive and while I never felt I was in any danger it may be a bit unnerving to someone not expecting the stark change from other areas. If you go outside of the downtown area towards Hastings-Sunrise you’ll find an up and coming area with cute restaurants, homes and a more family friendly atmosphere. 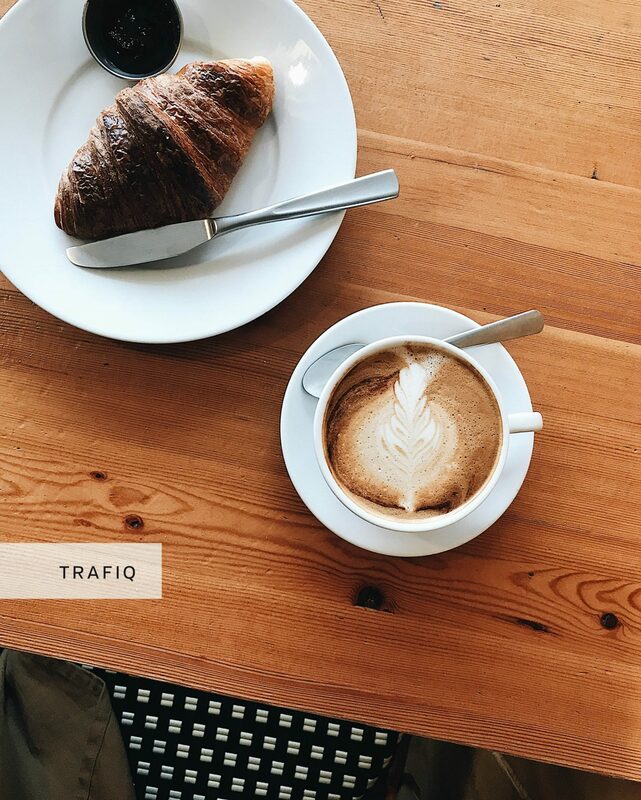 There is a wonderful coffee and cafe culture in Vancouver and as a result there are cute little coffee shops in every neighbourhood throughout the city. Sadly, I didn’t get to see as many as I would have liked but the ones I made it to were pretty great. If you’re trying to go dairy free (like me) you’ll be glad to know most (if not all) of the places I went to offered milk alternatives like almond, oat or soy. Most also offer lots of tasty food options too! Word to the wise: If you’re planning to work from a café don’t assume there will be much room after 10 am on a weekday. Also, don’t assume people will be civilized and not take up a 4 seater when it’s just them and their laptop. I’ve got to admit, that was a pet peeve of mine. But once you get a good spot you’re set! * I didn’t make it to these but they were on my list and highly recommended. Of course, we had to treat ourselves to a few brunches during our time in Vancouver and they rarely disappointed. Word to the wise: The brunch crowd in Vancouver are earlier risers than in Toronto. Plan to be there by 10:00 am to guarantee yourself a spot. *I didn’t make it to these but they were on my list and highly recommended. My lunches out were usually for meetings or spent on the go but I managed to tick off quite a few gems while I was zipping around town. Word to the wise: Aim for an off-peek hour lunch and either get in before the rush or after because this city loves a good 12 o’clock lunch! One of my personal favourite indulgences and ways to experience a city is through dinners out. 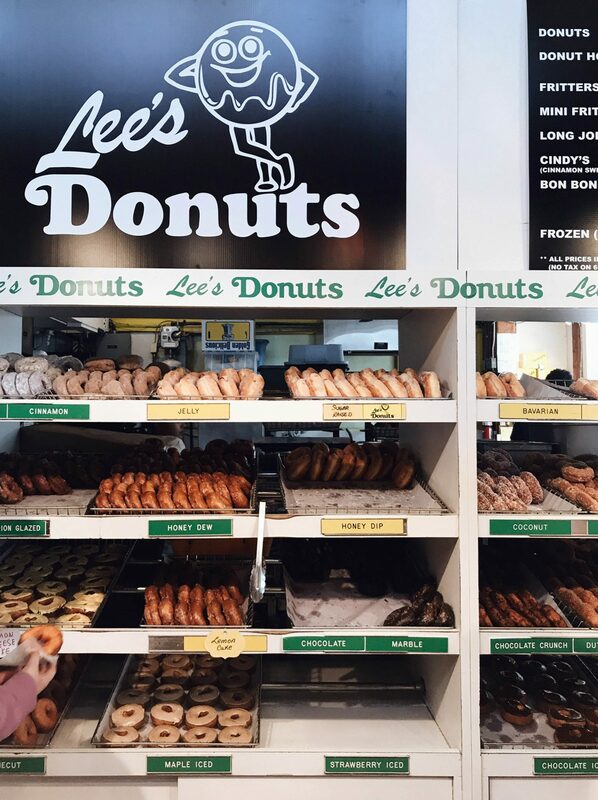 We love Guelph for lots of reasons but culinary breadth is not one of them, so having countless options to choose from was a major perk of being in Vancouver. 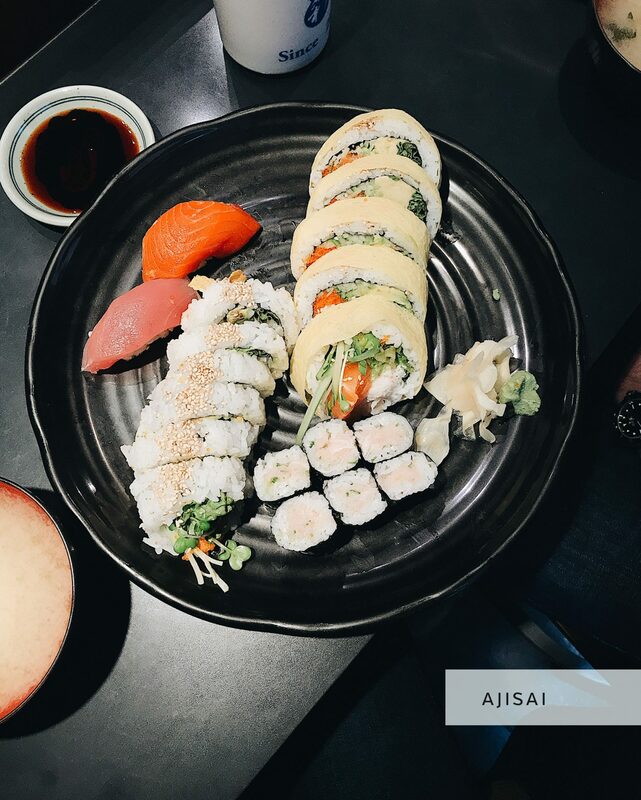 Of course, sushi and fresh seafood was high on our list but we also found the locavore community to be vibrant, resulting in lots of farm to table options. Sadly we didn’t make it to every spot I was hoping to but I’ve included them in the list in case one catches your eye! Word to the wise: Make a reservation as early as possible if you can. Lots of these places book up fast. *I didn’t make it to these but they were on my radar. If you’ve got time and you’re game for some outer city adventure definitely go for it! There is so much to explore outside of Vancouver and throughout the gorgeous province of British Columbia. 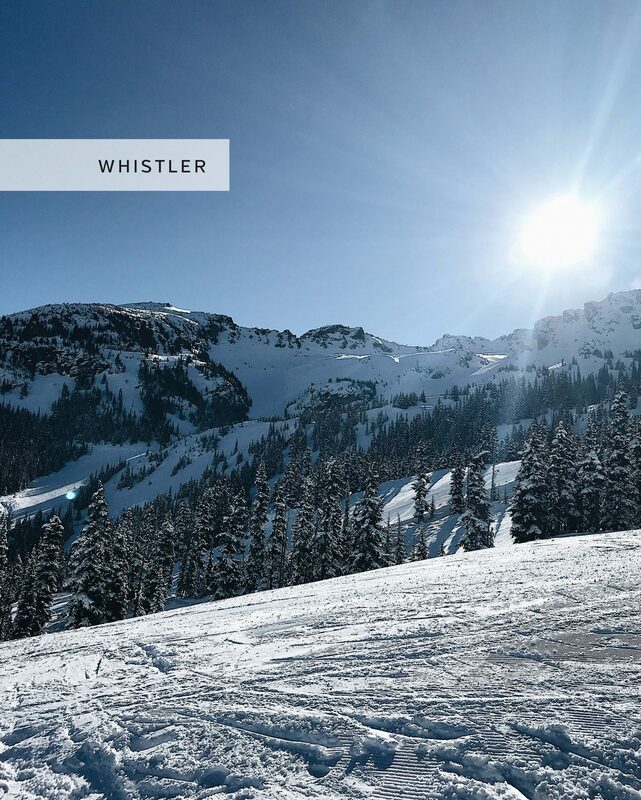 Whistler – Of course it’s a great place to ski or snowboard in the winter but there are also lots of hiking and mountain biking trails for summer adventures too. One of two times we went up I was not feeling well enough to snowboard so I spent the day wandering the trails and village with Dobby and it was great! Squamish – I would have LOVED to have spent a couple of nights in Squamish, a smaller city about 1 hr north of Van on the way to Whistler. There is tons of hiking, mountain biking, rock climbing, kayaking, paddle boarding and lots great restaurants and breweries. Even if you’re not an avid outdoors person there is still lots to see and do. If you’re driving to and from Vancouver aim to head back at golden our (just before sunset) and pull into one of the highway lookouts for some epic views. Sea to Sky Gondola – This is one of the most highly recommended attractions in Squamish. Definitely on the bucket list for next time! Stawamus Chief – We climbed the Chief during our first visit many years ago and it has always remained a favourite memory of mine. Towering nearly 2,000 feet above Squamish, the Stawamus Chief is the second largest piece of freestanding granite in the world. There are three peaks so even if hiking/climbing isn’t your jam it’s still a great way to get to some of the best views in western Canada. Lynn Canyon Suspension Bridge – Not too far outside of North Van this little bridge is a great day or even half day trip. The views, trails, waterfalls, pools and suspension bridge are said to be beautiful! Bowen Island – A quick ferry ride from Vancouver will deliver you to Bowen Island. We didn’t get over there but I’d really love to go some time. Rent a scooter to zip around the island, stop into local shops and restaurants or slip into a kayak for a shoreline tour from the water. It all sounds pretty damn good to me! Salt Spring Island – One of the most recommended spots to check out was Salt Spring Island. Known for its local maker and farmer’s markets, cottage B&Bs, beaches, wellness retreats and hikes. Again, we didn’t get there (we focused time on Vancouver Island instead) but it’s another one that’s on the bucket list. I’d love to stay at Bloom Organic B&B. Vancouver Island – I’ve got so much to share about Vancouver Island, in particular Victoria, which, confession time, was actually our favourite city. That being the case I’ve decided to create a dedicated Victoria City Guide, which will be up soon! We loved Point-No-Point (which you can read about here) and Tofino is a world renowned surfing destination all on it’s own! Access: You might consider renting a car or taking the ferry (you may not have a choice on that one!) to get to these areas but there should be bus and shuttle options available as well. Vancouver is a great city for responsible style, shopping from independent brands and finding great thrifted and vintage pieces. I did my best to make it to all the shops and spots I’d had on my list before we arrived and I managed to visit A LOT of them, while at the same time discovering some awesome new ones! Here’s a breakdown based on the two key shopping zones I spent time i and you can read about my initial shop hop here. There are also LOTS of other thrift and vintage stores along Main Street, so if you’ve got time to peruse, definitely go fo it! Depending on what time of year you’re visiting you’ll want to pack accordingly. During our 3.5 months we experienced everything from a major snowfall (by west coast standards anyway :P) to gloomy, drizzly, cool stretches to blazing heat without a cloud in the sky. With those vast changes in mind I’ve put together two sets of packing essentials depending on the time of year. Of course, you’ll want to check the forecast and add more items but these will give you a good base to work from. The good news about Vancouver is that it’s a very casual city. You’ll see the odd person dressed up here and there but for the most part if you’re in decent jeans and a fresh shirt, you’re set. 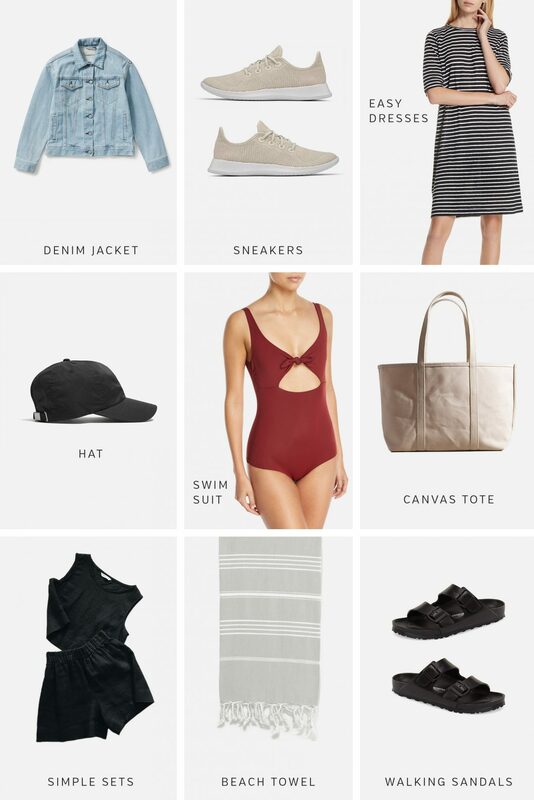 Vancouver is an active city and most of the main attractions involve being outdoors and lots of walking, biking and/or hiking so these essentials reflect just that. First up, Spring + Summer! 1 | DENIM JACKET | I realized how much I needed a denim jacket while we were out west because it’s just the perfect layer for the constantly changing temps and that occasional nip in the air. A denim jacket is also more casual than a blazer, which is what I wore a lot. I love my new one from Everlane, but any light jacket will do! 2 | SNEAKERS | I wore my Veja Sneakers a lot but I would recommend something lighter if you plan to do lots of trails or hikes. (I love my AKU Hiking Boots for more intense activities). These Allbirds tree pulp sneakers are on my workout wish list right now! 3 | EASY DRESSES | A couple of comfy cotton dresses will be perfect for the late Spring and Summer weather in Vancouver. Easy to layer under a light jacket and dress up or down between Birks and a dressier sandal. 4 | HAT | If you’re going to be outdoors a lot, bring a hat because that sun is unforgiving and so are the seagulls (if you get my meaning). Full disclosure: I haven’t worn a baseball cap in over a decade but there are some very chic options popping up right now. 5 | SWIMSUIT | Ok, this might be super obvious but if you’ve got access to all the beaches in Vancouver you had might as well be ready for a dip at any moment. I also love wearing a one-piece as a bodysuit under shorts or a skirt. This one from Mara Hoffman has 50 SPF built right in too (also comes in black)! 6 | BEACH TOTE | Make your personal carry on item count with a canvas or straw beach tote! Then pack it full of your favourite goodies from the Granville Market for a park picnic or a beach sunset. I love my tote from Joshu + Vela. 7 | SIMPLE SETS | Towards the end of our stay I was missing my Petra Crops so much and wishing I had them handy to pair with my Florence pants/shorts and other high-waist bottoms. 8 | BEACH TOWEL | Depending on where you stay you might not need this (most Vancouverites are well stocked) but if you’re set on some quality beach or park time a blanket will make a big difference. I love Turkish towels for easy packability and lightness. Plus, you can use it as a table cloth when you get home! 9 | WALKING SANDALS | AKA. Birkenstocks. You’ll be hard-pressed to walk down a street in Vancouver without seeing a pair of these this Summer. I actually had my Dad bring mine out when he visited in April because I missed them. Of course any sandal you can walk in all day will do! 1 | RAINCOAT | Of course a raincoat is key for the Fall and Winter in Vancouver. It’s usually mild enough to get away with a couple of layers or a warm sweater underneath. I find layers are key because it’s a damp cold more than a bitter cold like we get in the East. 2 | LONG SLEEVE LAYERS | These are definitely key for the cooler months (and into Spring too)! A fitted base layer really helps cut the damp air chills and is easy to build on as needed. 3 | BLACK DENIM | Of course, any denim wash will do but black is best when travelling and potentially encountering some wet, muddy, slushy, messy situations if you’re out in the wilderness or trekking through trails and parks. I’ve linked to my favourite pair of black skinnies that are a mid to high-rise and insanely flattering. 4 | WARM SWEATERS | A cozy turtleneck or other knitted sweater will be your best bud if you’re visiting Vancouver in the colder months. Chances are you’ll only need that and a raincoat or light puffer since it’s fairly temperate. 5 | RAIN BOOT | There’s a reason these were my most worn footwear during our time out west. Wear them on the plane to save room in your suitcase. 6 | PUFFER COAT | I wore my Raincoat and Puffer coat fairly interchangeably during the later winter months (Feb/March) but my Puffer really helped to keep me cozy on early morning walks and during any particularly chilly spells. If you don’t have room or don’t want to wear it on the plane, go for the rain coat and add an extra sweater or two. 7 | BEANIE | I wore one of mine literally every morning and evening through March and April. They make a HUGE difference if you’re trying to stay warm without a big coat. 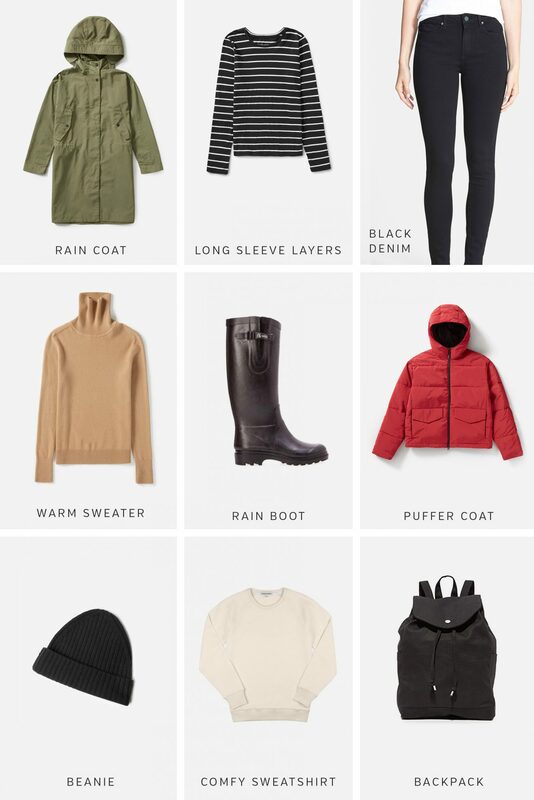 My favourites from Everlane are sold out but they release them every winter so keep an eye out. 8 | COMFY SWEATSHIRT | One of these will go a long way and it’s the perfect layer over a long sleeve tee and under a raincoat with a beanie, skinnies and rain boots. 9 | BACKPACK | Keep yourself a little more streamlined with a cute backpack so your hands are free to take photos! WELL FRIENDS, THAT’S ALL FOR THE VANCOUVER CITY GUIDE! I’m sure I missed a few gems so if you’ve got a favourite spot that’s not on the list please feel free to share it in the comments. Thanks for reading and stay tuned for the Victoria City Guide coming soon! As a note, the area of East Hastings you are speaking of is known as the Downtown East Side, around Main and Hastings. If you go further East you can find the Hastings Sunrise area, which is more of an up-and-coming area with restaurants, young families etc. Good to know! Thanks for that clarification Megan. I’ll amend that section. Thanks for reading! Great guide! It’s interesting to see where tourists go in my city. I wonder if you went east of Van at all? New Westminster is a really cute place (where I live!) and so tiny it’s doable in an afternoon. It’s a small river-side city, and one of BC’s oldest! Holy crap! This is a great guide! You sure have made great effort to see and get up know as much of Vancouver as possible on your trip! I’ve lived in Vancouver for over a decade now and I still need to make my way to some of the places you have already visited! I’m glad you enjoyed Kishimoto and Soap Dispensary! Nomad is one of my favourite places so I’m glad it was on your list! – check out Deep Cove in North Van in the summer months and rent a single or double kayak there. It makes for a wonderful day on the water – hopping from islands to different shorelines and hanging out with sea creatures! 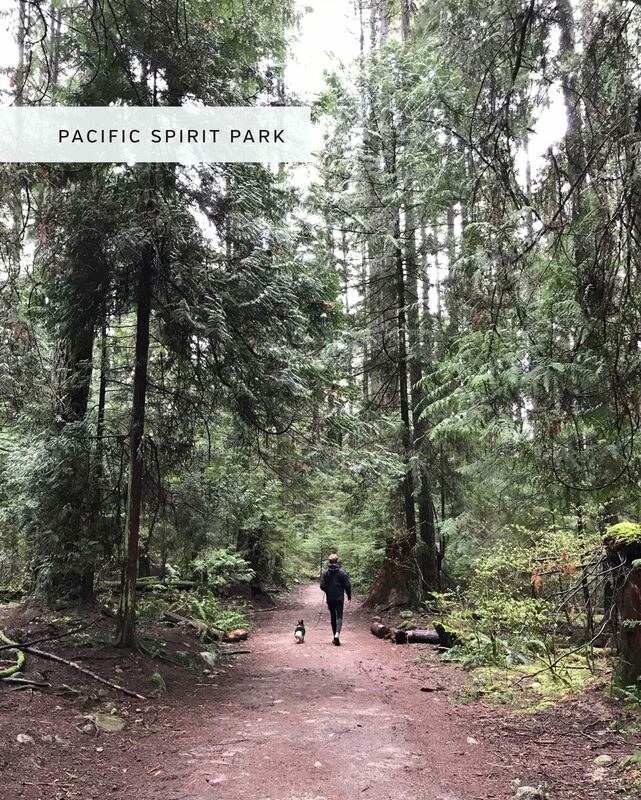 North Van has so many great off leash dog friendly hikes too! Your pup would love it! 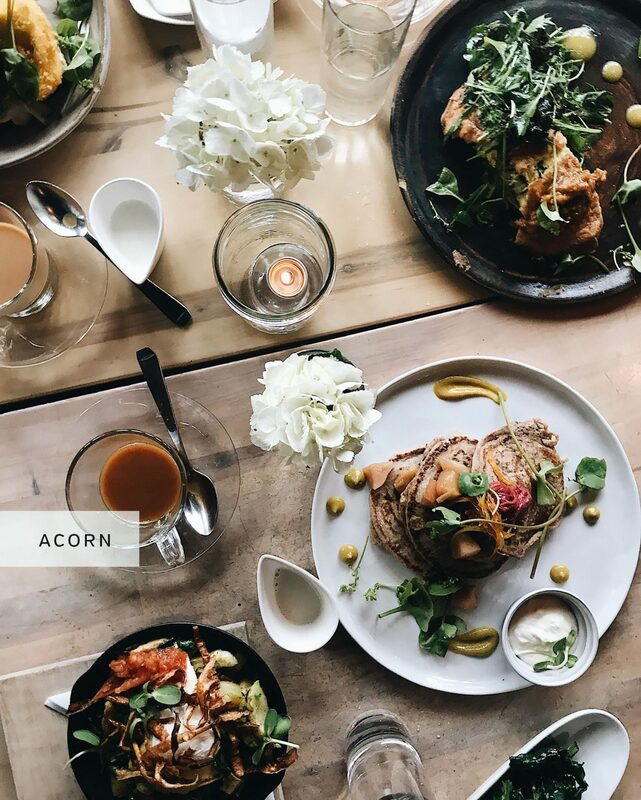 – if you are looking for interesting flavours, check out Heirloom on Granville (wonderful vegetarian food) or East is East and The Eatery (both on West Broadway). And Bandidas on Commercial Dr at 12th Ave has interesting dishes! 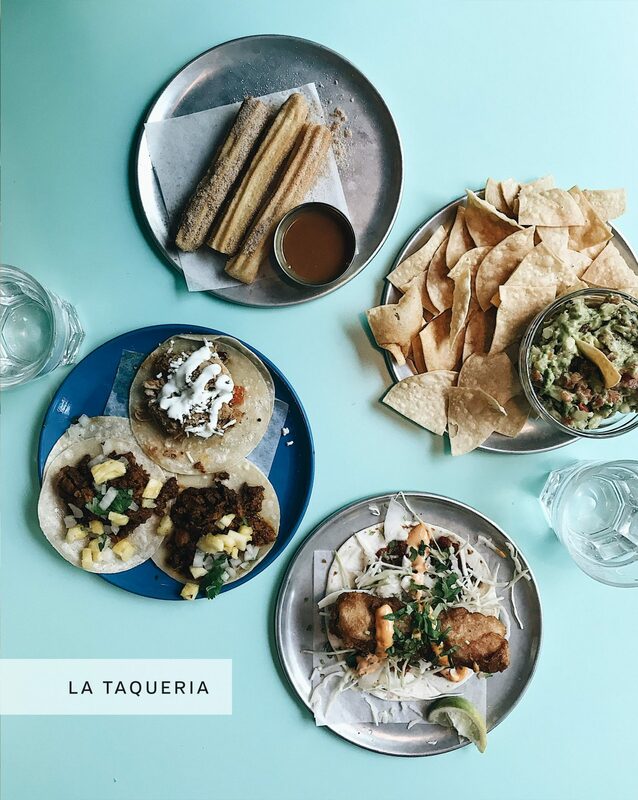 – My favourite Mexican place is Los Cuervos right by le faux bourgeois. YUM!!!! – Best pizza and meatballs (with tastiest salad) is off of commercial drive on Victoria drive and William St called Via Tevere Pizzeria. 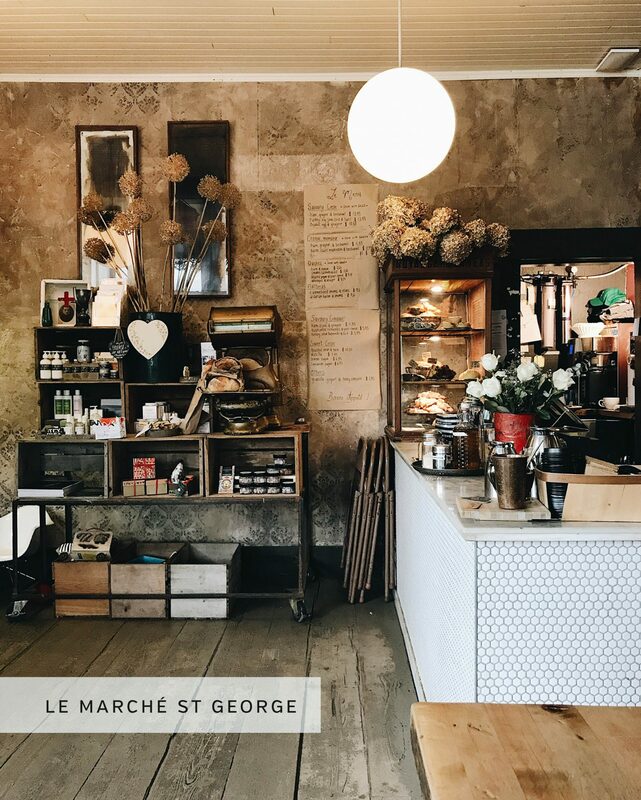 – one of my favourite spots to visit for a warm drink and a delicious snack is Coco et Olive on Main, right across from Soap Dispensary. 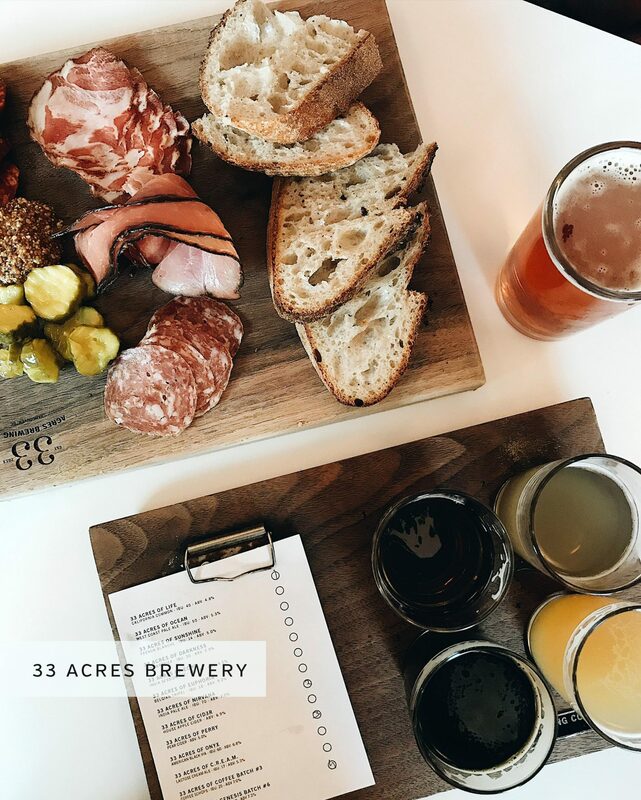 – there are a number of GREAT tasting breweries on Clark, South of east Hastings. – East Hastings is actually quite “happening” west of Clark with many interesting shops, delis and bakeries. There are a number of awesome breakfast/brunch places along there. It’s a bit of a hidden gem at the moment! 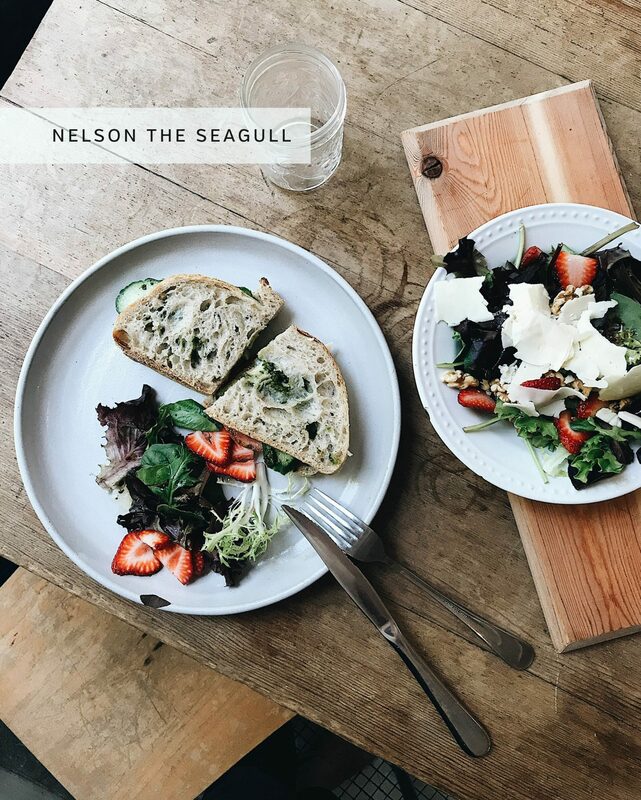 – another great spot to visit outside of Vancouver is Steveston in South Richmond. Thanks again for this great post! I’ll definitely reference it to remind me to explore new places around here! Thank you, thank you, for putting together this awesome list! We are heading there on vacation in a couple of weeks and this is just what I needed. I look forward to visiting all the parks and gardens. My husband and I are driving up from Oregon in July. We are spending three nights at Point No Point and three nights in Vancouver. Thanks for the timely suggestions. Vancouver will be so beautiful in the Fall! I would definitely look into AirBnb options in Kitsilano off of 4th or Broadway towards Burrard or in Mt. Pleasant around 12th and Main. Those were my favourite neighbourhoods and areas to explore on foot. You can also hop on a bus easily to get downtown or over to Stanley Park. The sky train should get you pretty close from the airport too. I hope that helps! Vancouver has a good transit system and you’ll probably be fine wherever you stay but for convenience there are express busses that go down both Broadway and 4th Ave. but the one on Broadway is much more consistent. 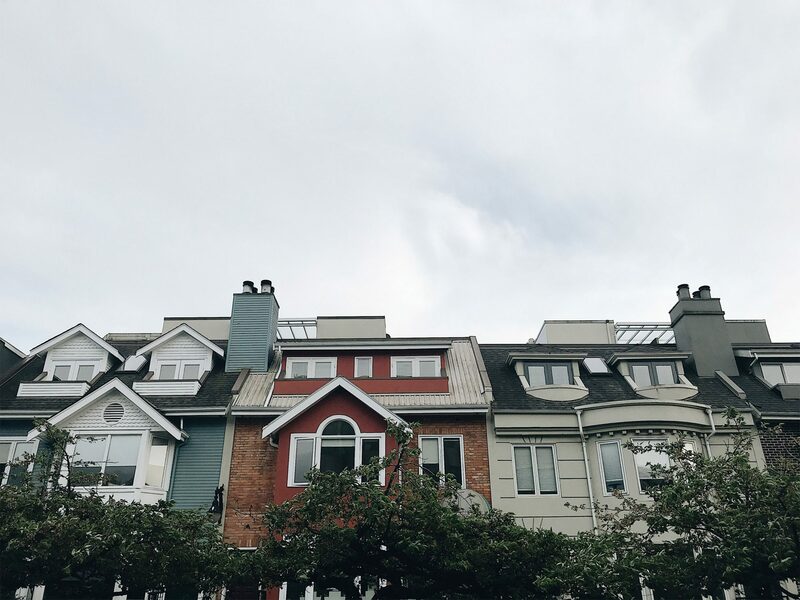 I live on the border between the Kitsilano and Fairview neighbourhoods and being near to Granville St. makes getting to the downtown core and Granville island super convenient as well! Thanks for the transit tips Andie! What a fun read! 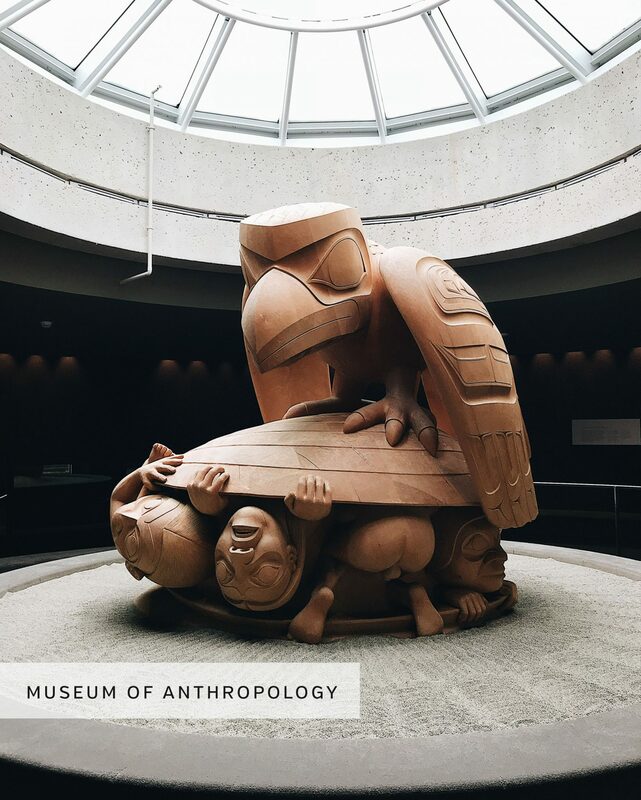 We went to Vancouver in 2017 for the HUGE annual Society for American Archaeology conference, which was being held there that year. The day we went to the UBC Museum of Anthropology it was absolutely packed full of archaeologists! It’s extremely well done. Having all of their artifacts on display, none held back, makes it both fun to explore by opening up mysterious drawers full of more items, and also somewhat overwhelming! If I lived nearby I think I’d go there regularly to work my way through everything. So cool. What an amazing travel guide Lee! I visited Vancouver forever ago when I was 12, and it’s beauty still holds a place in my heart so much that I always talk about going back! Glad you guys had a great experience. Have a great week! Xo!